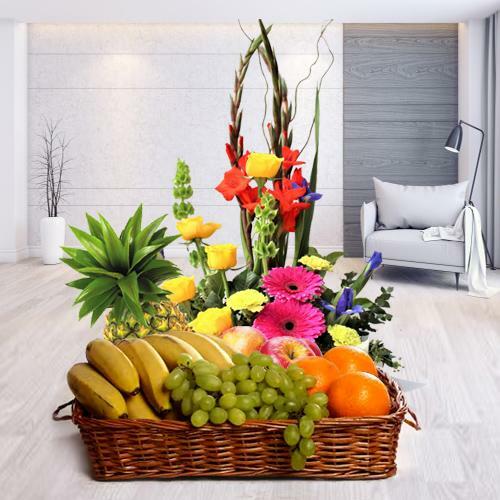 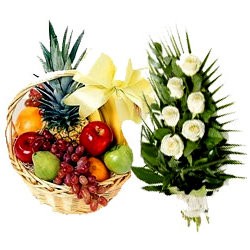 Send Fresh Fruits Basket to Rajkot Same Day and greet your health freak friends by Sending wishes of health and well being on occasions like Birthday, Wedding Anniversary and other special days. 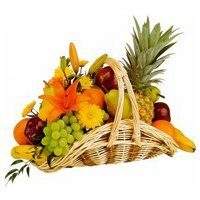 Select from wide range of Online Fruits Basket loaded with variety of Seasonal Fruits like Mangos, Bananas, Pears, Litchis and lot more that is available at Lowest Price at our website. 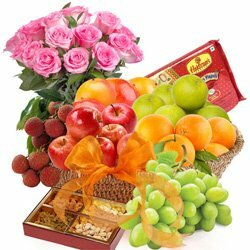 You can combine gift of Fruits Basket with variety of other gifts like Red Roses Bouquet, Haldiram Rasgullas, Ferrero Rocher Chocolates Buky etc to Send Big Fruits Basket to Rajkot Online. 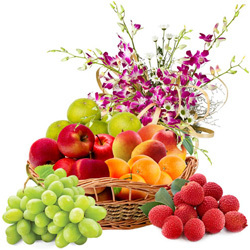 Place your Order for Same Day Delivery of Fresh Fruits to Rajkot with Free Shipping to all localities and around the city like Bhakti Nagar, Janakpuri, Millpara, Gulab Nagar, Jetpur and many such places of Rajkot, India. 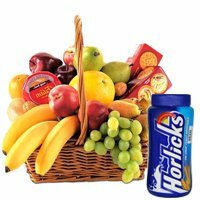 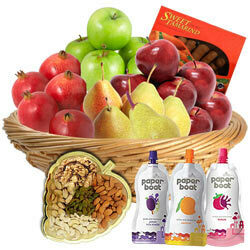 Looking for Sending Fruits Basket to Rajkot Online? 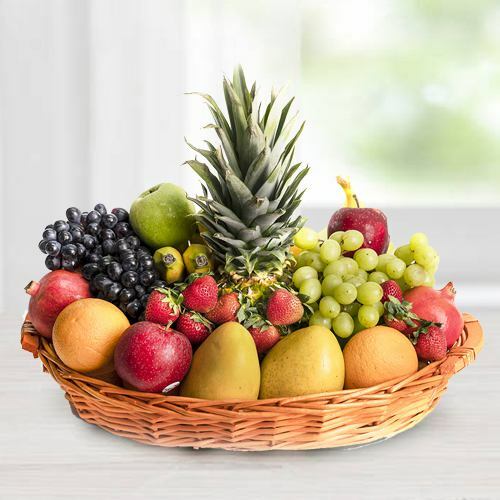 We help you to send some of the most juicy and yummy Fruit Basket Gifts for your loved ones filled with variety of fresh and organic Fruits like Guavas, Orange, Black Berry, Pineapple, Pomegranate, Grapes, Apple, Banana, Mango, Strawberry and much more available at Lowest possible price. 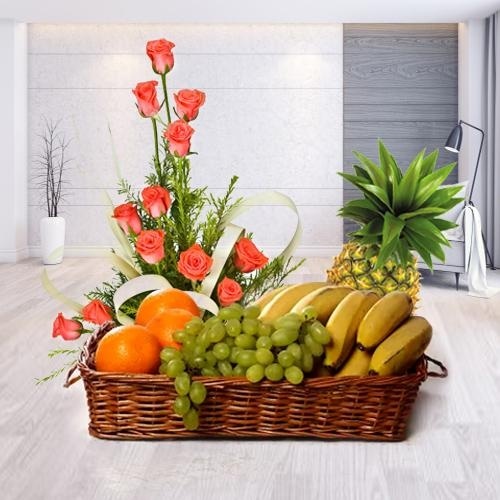 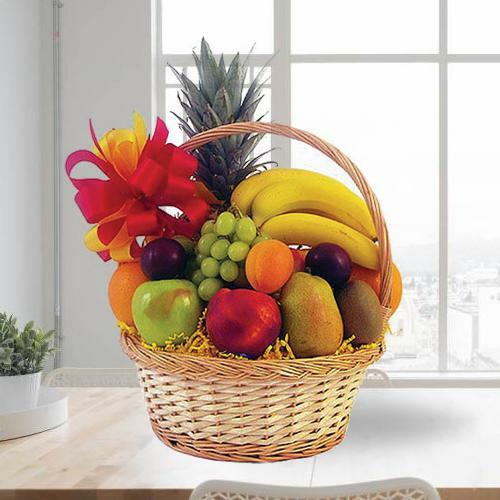 Our expert delivery team beautifully arranges Fresh Fruits in wicker Basket to Send Big Fruits Basket for all possible locations of Rajkot without incurring any extra delivery cost. 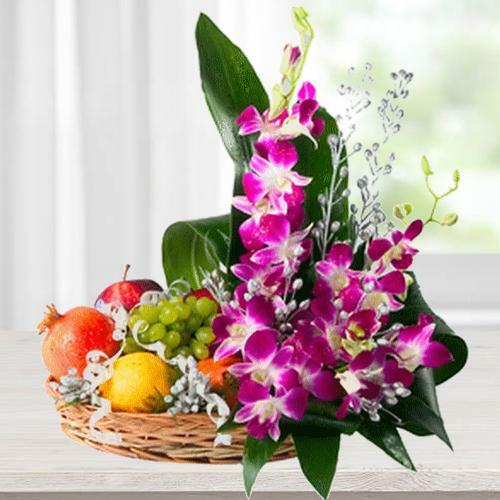 If you want to add a traditional yet fulfilling touch to your Gift and surprise your loved ones on several occasions like Birthday, Anniversary, baby shower, Diwali, Bhai Dooj, Rakhi, Karwa Chauth etc. 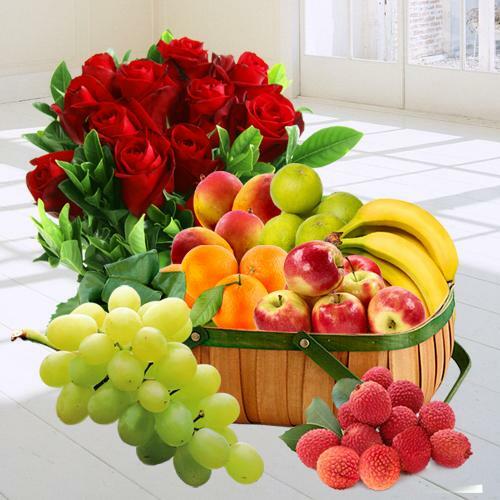 You just place your Order Online and our renowned online shopping site arranges to Send Fresh Fruits to Rajkot Same Day with assistance of our Quick Delivery service. 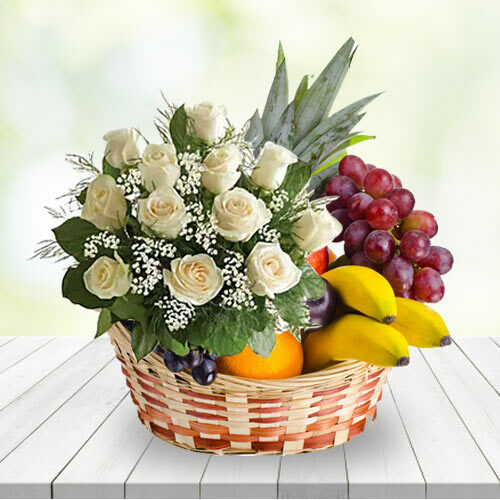 We can Send Mixed Fruits Basket, Orange Baskets, Mango Fruit Basket, Fresh Fruits N Orchids Basket, Fruits Basket with Horlicks and Biscuits and lot more at Low Price. 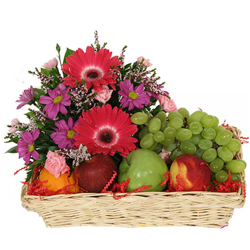 You can also include other Gift items like Chocolate Buky, Cake and Flowers etc and avail our Same Day Delivery as well as Midnight Delivery service to Send Big Fresh Fruits Basket to Rajkot with no extra Shipping Cost. 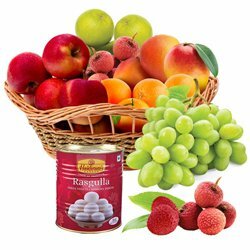 Browse our customer friendly e-commerce website and Send Fresh Fruits to Rajkot Same Day by picking up comprehensive range of Fruits Basket filled with juicy and mineral rich Fresh Fruits like Pomegranate, Grapes, Apple, Mango, Strawberry and lot more for. 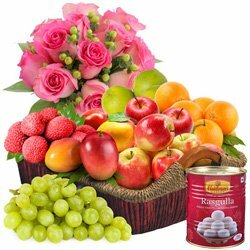 Besides Fruits Basket you can also send fragrant Pink Roses Bouquet, tasty Haldiram Rasgulla, Cadbury Chocolates Hamper, healthy Dry Fruits and many more attractive Gifts for your loved ones in Rajkot, Gujarat. 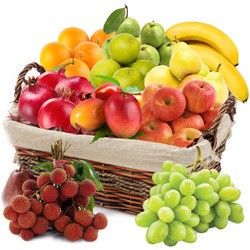 You can also get assured delivery of Fresh Fruits in Rajkot with Free Shipping by placing Online Order from UK, USA, Canada or Australia and from other Places across the globe and get delivery right up to your doorstep.